Cliff Frazier is a Renaissance Man - a successful humanitarian, executive, educator, lecturer, writer, television & motion picture producer, director, actor, and social activist. His impact is felt locally, nationally and internationally. Cliff Frazier is Executive Director of the New York Metropolitan Martin Luther King Jr. Center for Nonviolence (NYMLK) and founder and President of the International Communication Association (ICA). He co-founded, serves as chair, of the Harriet Tubman Charter School, which was the first charter awarded by the NYS Board of Regents. Frazier is also Chair of Woodie King, Jr.'s New Federal Theatre. "To Be A Man." And has produced or executive produced over 40 films or television productions. He created the television series "A Nation In View" for WPIX-TV and the award winning productions "Turkey Treasure" and "Movie Magic in New York City." He was an Administrator for Third World Cinema Productions, the Company that produced the feature films "Claudine", starring Diahann Carroll and James Earl Jones and "Greased Lightning", starring Richard Pryor and the award winning documentary, "Bearden Plays Bearden." 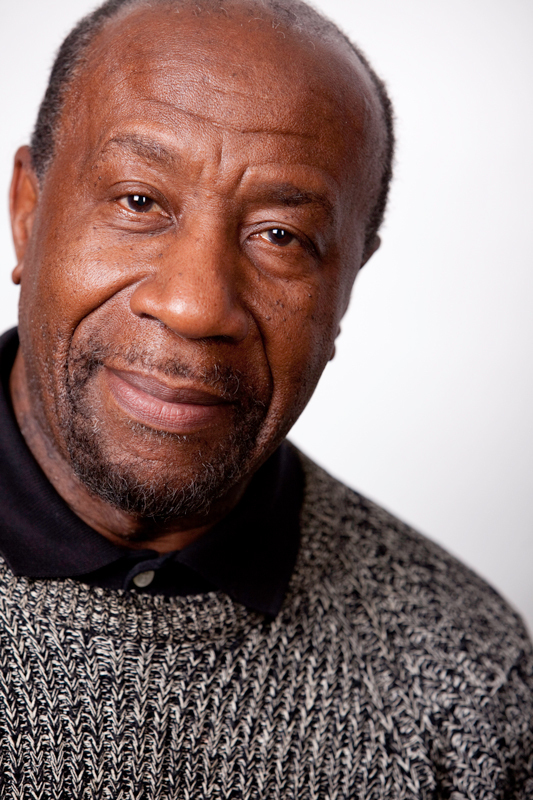 As past President, Executive Director and/or Administrator of three highly successful training institutions, Institute of New Cinema Artists, Third World Cinema Productions & Community Film Workshop Council, Frazier created media training and employment programs for minorities, women and disadvantaged whites. Over 2,500 individuals found employment in the motion picture, television, recording and other media industries. He also founded community media centers throughout the United States and Puerto Rico, which provided local television programming and built bridges of understanding between alienated and hostile groups. He created the Annual Minority Career Workshop for the prestigious International Radio and TV society, which resulted in approximately 1,200 minority college juniors and seniors throughout the United States having the opportunity to interact with media executives, department heads and personnel directors, resulting in employment, approximately 800 found jobs, and/or clearly defined career paths. Appointed by Governor Mario Cuomo as Commissioner of the New York State Department of Labor's Apprenticeship and Training Council in 1985, Frazier introduced, and was able to get adopted, a breakthrough resolution requiring that all unions proposing New York State certification for new trades include a detailed affirmative action program for the recruitment of minorities and women apprentices. He served as an Advisor to the New York City Mayor's Office of Film, TV & Theatre and developed initiatives aimed at increasing apprenticeships and training opportunities for minorities and women in the motion picture, television and advertising industries. Appointed Executive Director of NYMLK in 1995, he established the Annual King Holiday Observance titled: Inter-religious Silent Prayer March & Celebration for Peace, Religious & Racial Harmony, which brings together, Christians, Jews and Muslims. Over 1,200 attend annually. To help legal immigrants become U.S. citizens and resolve problems regarding their legal status, Frazier established NYMLK's Immigration/U.S. Citizenship Program. Over 1,000 have been processed for citizenship. He also created the Ella Baker/Cleveland Robinson Youth Leadership & Nonviolence Academy and the Multicultural Enrichment and Outreach Program, which celebrate the diversity of various ethnic cultures in the United States. These successes resulted in the State University of New York (SUNY) requesting that NYMLK partner with SUNY in establishing a $500,000 high tech computer laboratory, which is providing digital parity for communities in South Bronx who have had limited access to computer technology. In addition, video conferencing will be established to enable students to have contact and dialogue with students throughout the world. Through its status as a non government organization (ngo) with the Untied Nations, NYMLK, in collaboration with ICA, is establishing an International Artists for World Harmony initiative which will include renowned performing artists from various countries that have been at war with each other performing together. There will also be the exhibition of works of art which stress harmony and nonviolence as a theme. Seminars, forums and workshops will also be conducted throughout New York, the U.S. and abroad. Capitalizing on his access to the music industry, Frazier is creating an entrepreneurial initiative which will train youth and young adults in the business/behind-the-scenes areas of the music industry and prepare them for employment opportunities. An effort will be made to create a record label that is co-owned by the young people. The emphasis will be on positive hip hop/music. The development of such a company is unprecedented in this multi-billion dollar industry. As a lecturer, Frazier has spoken at Columbia University, Hunter College, Syracuse University, Adelphi University, College of New Rochelle, Howard University, Lincoln Center Film Festival, Kansas Art Conference, Radio & TV News Director Conference, Associated Council on the Arts, Brooklyn Children's Museum, etc. Special Awards include Manhattan Borough President Proclamation naming August 25, 1976, "Cliff Frazier Day", NYS Assembly Special Citation, NYC Comptroller Commendation, American Film Institute Distinguished Service Award, "Who's Who Among Black Americans", International Radio & TV Society Outstanding Services Award, etc. Board Membership include: Chair, New Federal Theatre; Member, Habitat For Humanity, Black Leadership Commission ON AIDS, and African American Legal Defense & Education Fund. As a writer, Frazier has been a book critic for the Catholic Reporter. He also co-wrote the text book Discovery in Drama for Paulist Press, Arts, Education and the Urban Sub-Culture for the U.S. Office of Health, Education and Welfare and was a writing consultant for 20th Century Fox. His articles have appeared in Sightlines, Educational Film Library Association, Filmmaker's Newsletter, Amsterdam News, New York Beacon, New York Carib News and the Daily Challenge. Dr. Ademola Olugebefola is a renowned contemporary artist whose work has set standards of innovative excellence. Widely collected and published in hundreds of books, catalogs, magazines and newspapers, his work has also been featured in major museums, universities, galleries and on television in the USA, the Caribbean, Africa, Europe and Japan. His paintings, graphics and mixed media work is shown extensively on the internet. Born in the US Virgin Islands and raised in New York City, Ademola has expanded his national exhibitions to New York State’s mid Hudson Valley over the last few years. TransArt has presented his work in Newburg, Kingston and has presented his major 5 acre environmental art as part of Jazz In The Valley. In a career that spans three decades, Ademola feels these 5 acre environmental art installations Nature Symphony and MAMBO: A Tribute to Tito Puente, in concert with the music, is a portal to new spiritual and creative frontiers. Among a spectrum of recent art, culture and special projects activity, Albany International Airport hosted his paintings and a lecture as part of a landmark exhibition in October 2000. In June 2001 Poughkeepsie’s Albert Shahinian Gallery presented Olugebefola and painter Helen Douglas in a critically acclaimed exhibition. Recent solo exhibitions and educational presentations include: IRADAC at City College; Vassar College, Poughkeepsie NY; CHI Gallery in Oakland, California; Rush Arts in Chelsea, NY; and recent group shows at Fire Patrol #5 Art and Gallery X in Harlem and Danny Simmon’s Corrider Gallery in Brooklyn. And his most recent multimedia solo shows Blues And The Abstract Truth and Goddesses and Gurus: Earth, Wind and Fire April 2005 at Savacou Gallery in the east village, are highlights of his recent work over the last few years. Having just returned from Salvador, Bahia and Rio deJaniero Brazil in February 2005 Ademola will be seen as part of a Caribbean region PBS special documentary on similarities in Brazilian culture, the British and US Virgin Islands where he was born. 1998 Dance Collection Galleries, New York Public Library for the Performing Arts: A retrospective of lithographs, drawings, glass etchings and mixed media work on dance. 1997 Wadsworth Athenaeum, Hartford, CT.
1997 San Diego Museum of Art, San Diego, CA. 1997 NCA "National Invitational" James E. Lewis Museum, Morgan State Univ., Baltimore, MD. 1997 Center for African American Art, Smithsonian Institution, Washington, D.C.
1996 New Orleans Museum of Art, New Orleans, LA. 1996 African American Museum, Dallas, TX. 1994 The Orionic Suite, Gallery LA. Ms. Diaz has a passion for telling and sharing real life stories through her work. Her artistry lies in composing significant images that lend themselves to highlight specific moments of the story. Ms. Diaz's work features a myriad of eclectic subjects that recognizes those who lend themselves to life, by living with the passion and the courage to achieve their vision by bringing awareness to human and global issues. Such as, UN peace efforts, environmental challenges, health issues, American history, pop culture and much more. Diaz’s work has been collected and is frequently requested for exhibitions both domestically and internationally. Whether her work is being presented at an unveiling, a private event or a full-scale exhibit, the pieces presented are thought provoking and initiates conversations that are relevant as well as historical. Included in the Lend Yourself to Life exhibition are a growing collection of works that are comprised of personally signed original pieces by Presidents Barack Obama and Bill Clinton, the Tuskegee Airmen and other well-known influential individuals—and the list continues to grow. Ms. Diaz was born and raised in NYC. Prior to her artistic journey, she was a member of District Council 9 of the International Union of Painters and Allied Trade and worked in the field for a few years. She then became a member of Local 30 International Union of Operating Engineers and worked in the field at ABC/Disney in NYC for 17 years. In 2003 she traveled throughout the country for six years as a road producer and product specialist in the auto industry.